Below is a podcast read out by Amy. I know some may not have liked computer generated voices in the past but things have moved on, especially since I am using Amazon's Polly technology to generate Amy's voice (and others are in the pipeline). I actually went down with a super-flu-bug and lost my voice and so decided to still create the podcast, regardless. I added my intro this morning. Let me know if there is a marketing topic you'd like covered. For links to video courses on my podcast topics, simply contact me and I'll show you where to find them on Vimeo. The courses are free. 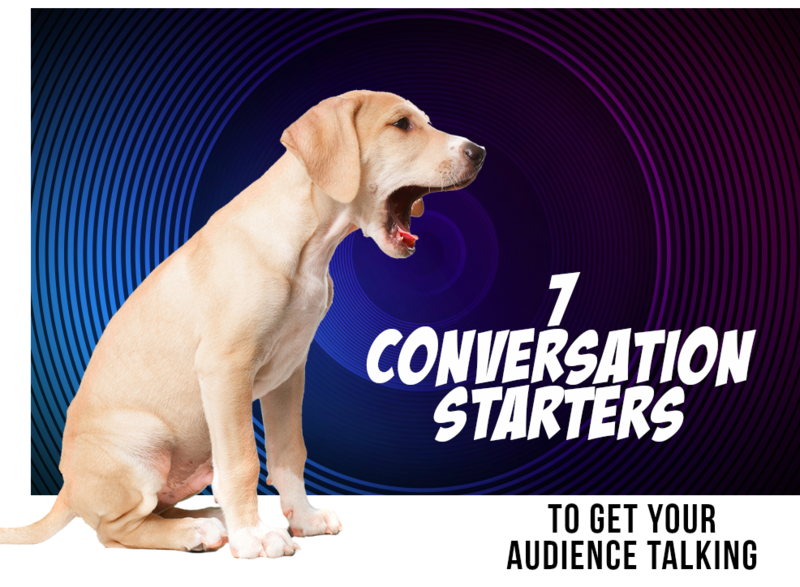 This time, 7 conversation starters to get your audience talking.